13.6 million people in Somalia, Ethiopia and Kenya are facing dangerous food shortages. In Ethiopia alone, 700,000 people are on the verge of starvation. It is estimated that 8.5 million people are hungry in the country. 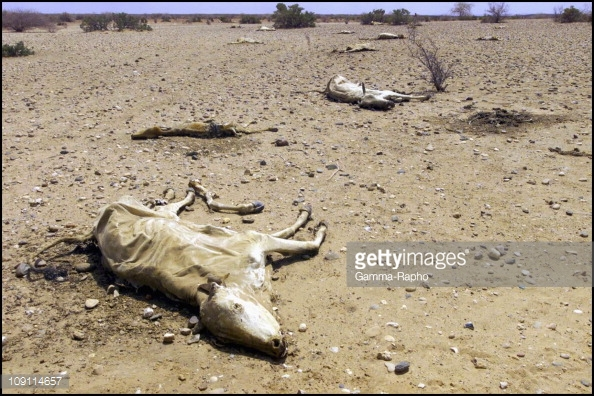 A prolonged drought has caused crops to fail and livestock to die in huge numbers. The situation could get much worse between now and September and likely to continue until April 2018, if people cannot get the help they need, as food stocks are low before the next harvest. Across the Lake Chad Basin, some 7 million people struggling with food insecurity need asistance. There is not a single root cause that just explains all famines – each context has its unique aspects. However, there is always a fatal combination of various factors that can include conflict, insecurity, access, chronic poverty, lack of trade and severe weather events such as persistent drought. Millions are on the brink of starvation. This is a crisis we cannot ignore. Tags: Africa, catatrphic famine, Ethiopia, Famine, Famine and the “Ethiopia rising” meme, Malnutrition, Tyranny and Famine, Why Famine is a Permanent Phenomenon in Ethiopian? 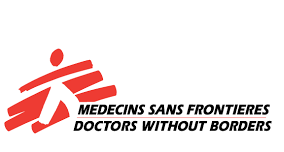 An acute humanitarian emergency is unfolding in Ethiopia’s Somali region, with malnutrition reaching alarming levels, the international medical organization Doctors Without Borders/Médecins Sans Frontières (MSF) said today. MSF teams in the region’s Doolo Zone report 67 deaths of malnourished children so far in June. “The numbers of young children with severe acute malnutrition in Doolo Zone are the highest our teams have seen in the area in the 10 years we have worked in the region,” said Saskia van der Kam, MSF nutritional adviser. MSF teams, working alongside Ethiopian health authorities, have set up 27 outpatient therapeutic feeding centers and four inpatient therapeutic feeding centers to treat children with severe malnutrition. 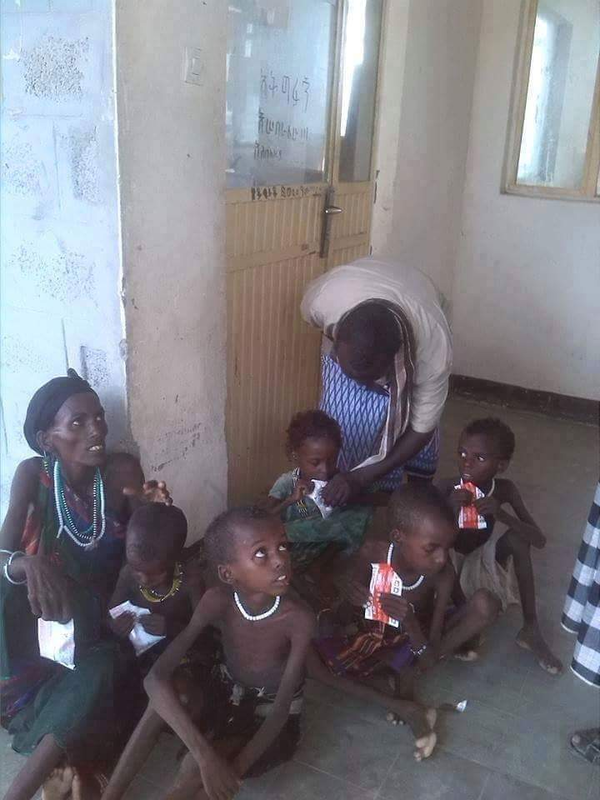 In the locations of Danod, Lehel-Yucub, Wardher, Galadi, and Daratole, MSF teams have treated 6,136 children under five for severe acute malnutrition since January. By comparison, MSF treated 491 children in these areas for severe acute malnutrition during the same period in 2016—a more than tenfold increase. In the first two weeks of June alone, 322 severely malnourished children were admitted in the four inpatient feeding centers supported by MSF. Despite all medical efforts, 51 of these children did not survive. The total number of deaths among children in June has risen to 67. The malnutrition crisis comes in the wake of two failed rainy seasons. Many people have seen their livestock die because of the drought, which has forced them to abandon their traditional nomadic way of life. They have settled in informal camps, where they do not have enough food and safe water to survive. Droughts are nothing new for people in this area. The mainly pastoralist population knows how to adapt to avoid losing as few camels and cows as possible until the next rains come. But after two failed rainy seasons in a row, many can no longer cope and are now totally dependent on external aid. People in the camps have been receiving food aid and the regional government has been providing cooked meals in most of the informal camps. However, supplies of food are insufficient for the high number of displaced people in need and are now running out. “In the last week of May, the distribution of cooked food was halted, and the monthly distribution of dry food rations was delayed, leaving large numbers of people without any food at all,” Kleijer said. More concerning, the World Food Program has warned that its supply of emergency food aid for the Somali region will run out at the end of July, leaving 1.7 million people even more vulnerable to malnutrition. Fearing a stark deterioration of the nutrition and humanitarian situation in the Somali region, MSF is planning to expand its emergency response to other zones, including Jarar and Nogob. MSF calls on donors to increase their support to Ethiopia to ensure that a continuous supply of food reaches people in need. Humanitarian organizations must also dispatch teams and supplies to the hardest-hit areas to prevent the crisis from escalating further. 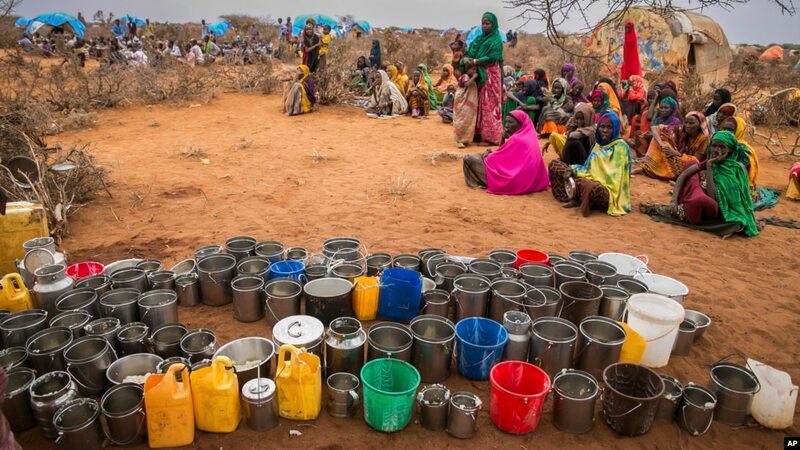 NAIROBI, May 24 (Thomson Reuters Foundation) – Hunger is likely to reach emergency levels in Ethiopia and the number in need of food aid will rise beyond the current 7.7 million, experts said, as drought has decimated livestock, rains have been erratic and aid is in short supply. Prolonged drought, followed by floods, has pushed millions across East Africa into crisis, with 7 million in neighbouring Somalia also needing aid, the United Nations said as it grapples with the highest global hunger levels in decades. 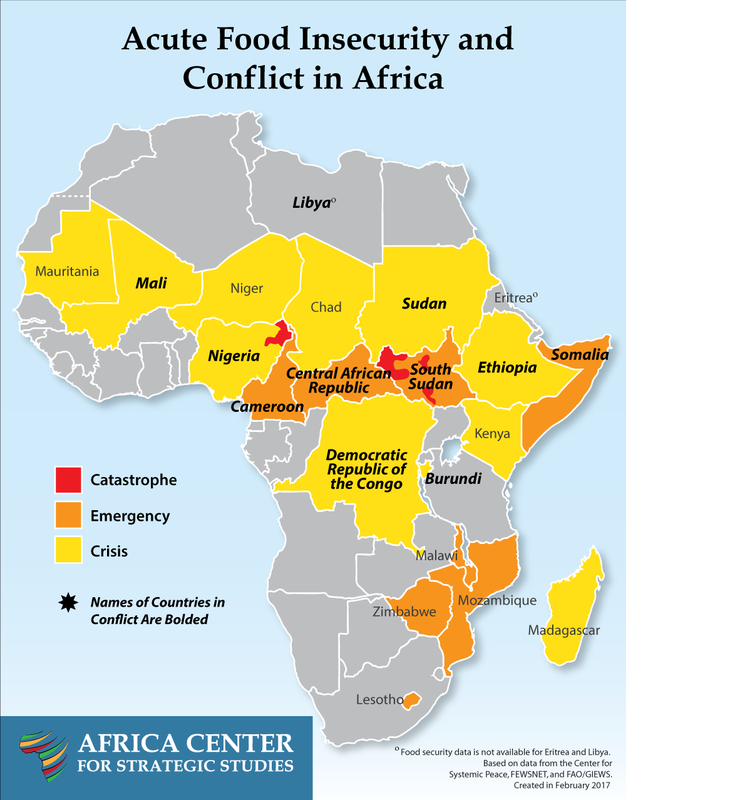 “Despite enhanced rainfall at the end of April into early May over many areas of Ethiopia, food security outcomes are still expected to deteriorate,” the U.S.-based Famine Early Warning Systems Network (FEWS NET) said on Wednesday. Herders in southeastern Ethiopia will be worst hit over the next three months, it said, with hunger reaching the fourth “emergency” level on a five-phase scale, where the fifth level is famine. “The current marginal improvements in pasture and water are likely to be depleted by early June, which will mean rangeland resources will rapidly decline, and subsequently livestock body conditions,” it said, with the next rains due in October. The number of Ethiopians who need food aid surged to 7.7 million from 5.6 million between January and April. This number is expected to increase in the second half of the year, the U.N. Office for the Coordination of Humanitarian Affairs said this week. “Increased funding is needed urgently, in particular to address immediate requirements for clean drinking water, much of which is being delivered long distances by truck as regular wells have dried up,” it said. The Trump administration has proposed to drastically cut U.S. funding for global health and food aid programmes amid opposition from Congress. (Reporting by Katy Migiro @katymigiro, editing by Alisa Tang. Please credit the Thomson Reuters Foundation, the charitable arm of Thomson Reuters, that covers humanitarian news, women´s rights, trafficking, property rights and climate change. Though the situation is not as extreme as it was in the 1980s, when some 400,000 Ethiopians starved to death, more than 10 million people are threatened with malnutrition. The United Nations estimates that 15 million people are in urgent need of food aid due to drought, and that 33% of this population is already suffering the effects of severe malnutrition due to agriculture failure and death of livestock, Fides reported. It is estimated that, between October 2015 and April 2016 about 450,000 animals died, severely affecting the supply of milk, especially for children. Posted by OromianEconomist in Dictatorship, Ethiopia's Colonizing Structure and the Development Problems of People of Oromia, Afar, Ogaden, Sidama, Southern Ethiopia and the Omo Valley, Tyranny, Uncategorized. ADDIS ABABA, ETHIOPIA — After going through its worst drought in 50 years, Ethiopia is again seeing rain. In fact, in some places, it’s falling too hard and has set off floods. So while the number of people requiring food aid has dropped slightly from 10.2 million in January to 9.7 million, according to the latest figures, there is a new threat of disease in a population weakened by drought. Measles, meningitis, malaria and scabies are on the rise. And most seriously, there has been an outbreak of something mysteriously called “AWD,” according to the Humanitarian Requirements Document, issued by the government and humanitarian agencies on Aug. 13. “There is a high risk that AWD can spread to all regions with high speed as there is a frequent population movement between Addis Ababa and other regions,” it warned. The letters stand for acute watery diarrhea. It is a potentially fatal condition caused by water infected with the vibrio cholera bacterium. Everywhere else in the world it is simply called cholera. But not in Ethiopia, where international humanitarian organizations privately admit that they are only allowed to call it AWD and are not permitted to publish the number of people affected. The government is apparently concerned about the international impact if news of a significant cholera outbreak were to get out, even though the disease is not unusual in East Africa. This means that, hypothetically, when refugees from South Sudan with cholera flee across the border into Ethiopia, they suddenly have AWD instead. In a similar manner, exactly one year ago, when aid organizations started sounding the alarm bells over the failed rains, government officials were divided over whether they would call it a drought and appeal for international aid. The narrative for Ethiopia in 2015 was a successful nation with double-digit growth, and the government did not want to bring back memories of the 1980s drought that killed hundreds of thousands and left the country forever associated with famine. “We don’t use the f-word,” explained an aid worker to me back in September, referring to famine. Like many of its neighbors in the region, Ethiopia has some issues with freedom of expression and is very keen about how it is perceived abroad. While the country has many developmental successes to celebrate, its current sensitivity suggests it will be some time before this close U.S. ally resembles the democracy it has long claimed to be. Ultimately, the government recognized there was a drought and made an international appeal for aid. The systems put into place over the years prevented the drought from turning into a humanitarian catastrophe — for which the country has earned praise from its international partners. In the same manner, even though it doesn’t call it cholera, the government is still waging a vigorous campaign to educate people on how to avoid AWD, by boiling water and washing their hands. Yet this sensitivity to bad news extends to the economic realm as well. Critics have often criticized Ethiopia’s decade of reported strong growth as being the product of cooked numbers. The government does seem to produce rosier figures than international institutions. After the drought, the International Monetary Fund predicted in Aprilthat growth would drop from 10.2 percent in 2015 to just 4.5 percent in 2016. Prime Minister Hailemariam Desalegn, maintained, however, that growth would be a robust 8.5 percent, despite the falling agriculture productivity and decreased export earnings. In the political realm, news of unrest and protests is suppressed. During a weekend of demonstrations on Aug. 6 and 7, the Internet was cut, making it difficult to find out what happened. Human rights organizations, opposition parties and media tried to piece together the toll from the deadly demonstrations, which according to Amnesty International may have been up to 100. The United Nations has called for international observers to carry out an investigation in the affected regions, which the government has strongly rejected even as it has dismissed estimates of casualties without providing any of its own. Local journalists are heavily constrained, and as Felix Horne of Human Rights Watch points out, Ethiopia is one of the biggest jailers of journalists on the continent. “Limitations on independent media, jamming of television and radio signals, and recent blocking of social media all point to a government afraid to allow its citizens access to independent information,” he said. Foreign journalists do not fare much better, especially if they attempt to venture out of the capital to do their reporting. In March, the New York Times and Bloomberg correspondents were detained by police while trying to report on the disturbances in the Oromo Region. They were sent back to Addis Ababa and held overnight in a local prison before being interrogated and released. In a similar fashion, a television crew with American Public Broadcasting Service was detained on Aug. 8 south of the capital trying to do a story on the drought conditions. They and their Ethiopian fixer — an accredited journalist in her own right — were released after 24 hours, and they were told not to do any reporting outside of Addis. In both cases the journalists were all accredited by the Government Communication Affairs Office, with credentials that are supposed to extend the breadth of the country but in practice are widely ignored by local officials. The government spokesman, Getachew Reda, has dismissed the allegations about the information crackdown in the country and in recent appearances on the Al Jazeera network he maintained that there are no obstacles to information in Ethiopia. “This country is open for business, it’s open for the international community, people have every right to collect whatever information they want,” he said. A worsening drought in Ethiopia means 10.1 million people, a 10th of the population, are facing food shortages next year in the Horn of Africa nation, Save the Children said. The figure is an increase of 1.9 million people from the number the government says currently requires food aid. The assessment means 400,000 children are at risk of severe malnutrition in 2016, the London-based charity said in an e-mailed statement on Monday. “The worst drought in Ethiopia for 50 years is happening right now, with the overall emergency response estimated to cost $1.4 billion,” said John Graham, Save the Children’s Ethiopia country director. Ethiopia’s government has allocated $192 million for the crisis and received $163 million from donors since an appeal for $340 million in October, said Mitiku Kassa, who heads the government’s disaster response team. Another 8 million vulnerable Ethiopians will receive food and cash transfers during the first six months of next year under a mostly donor-funded aid program. Low rainfall this year had a “devastating effect” on agricultural production, with the next harvest not expected until June, the charity said. Ethiopia’s government has said the drought will not affect official growth rates of about 10 percent a year, despite rain-fed agriculture accounting for almost 40 percent of the economy. The El Niño global climactic event has wreaked havoc on Ethiopia’s summer rains. This comes on the heels of failed spring rains, and has driven food insecurity, malnutrition and water shortages in affected areas of the country. A well-coordinated response is already underway and Trends in Severe Acute Malnutrition expanding rapidly, although the scale of the developing admission (2011-2015)3 emergency exceeds resources available to date. Given the lead in thousands times necessary for the procurement of relief items, the Government and its international partners have called for early 40 action to this slow onset natural disaster. A Call to Take Responsibility: Exiled Ethiopian human rights advocate Yared Hailemariam, who is based in Brussels, speculates on why the government denies that the drought has turned into a famine. It is his opinion that the denial is due to a lack of competent governance, democracy, social justice and political will of the last three regime’s. 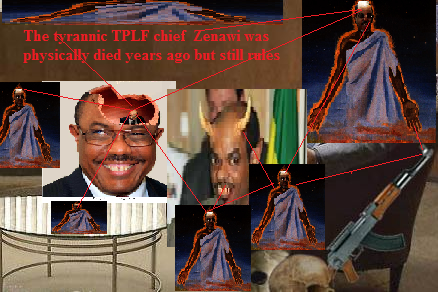 He also says that the EPRDF (The Government of Ethiopia, the Ethiopian People’s Revolutionary Democratic Front) is highly corrupt, and that the development is not what it seems to be. Birtukan Ali, a woman living in a rural district in Ethiopia, became a sensation following BBC’s report about the ongoing drought and famine. Thereport, which aired on November 10 2015, sparked a new kind of debate on the government’s intention in trying to cover up the famine – a story that remains untold. The drought, brought on by the El Niño, a weather phenomenon described as a periodic warming of the sea surface, has severely affected the country. Ethiopia is mainly an agrarian economy and the agriculture is fully dependant on rain fall. Ultimately this means that no rain results in no crops, and therefore no food. This year the rainfall was inadequate to cultivate crops for two consecutive seasons. The United Nations estimated that 8.2 million people in Ethiopia’s drought affected areas need relief assistance. UNICEF said that the drought is expected to be the worst in 30 years and that 350,000 children are expected to require treatment for extreme malnutrition. In a press release by the World Food Program, it is stated that “a dramatic increase in the number of people in need of relief assistance, from 2.5 million at the beginning of the year to 8.2 million in October, led to a serious funding gap”. The Ethiopian government says that it has allocated $192 million USD for emergency food and other assistance. However, the government and humanitarian agencies have said that Ethiopia needs nearly $600 million USD in international humanitarian assistance. The Ethiopian Prime Minister, Hailemariam Desalegn, has called for international assistance by appealing for food aid to help feed the 8.2 million people that are affected by the drought. Similarly, the Ethiopian embassy in the United Kingdom has condemned the BBC report as being “sensational”. The embassy denied reports of approximately two children dying from malnutrition in the area on a daily basis. Five days after the airing of the BBC’ program, government owned Amhara Mass Media Agency, which is based in Bahar-Dar, the capital of the regional state Amhara, presented a televised program that ridiculed BBC’s report. The program includes Birtukan’s interview with the regional media. This time, however, Birtukan claims that her son died of unspecified “sudden illnesses” and not because of the malnutrition as she had told the BBC reporter. Hongeen Biyya Xoophiyaa Akka Malee Hammaatera. Qilleensi Tuujii paasifik yookaan El-niinoo jedhamu biyyoota Afrikaa gama Kibbaafi Gaanfa Afrikaa hongee jabaan miidhaa akka jiruufi gara fuulduratti illee miidhaa hamaa geessisuu akka danda’u dhaabbileen kanneen akka Raaga Haala Qilleensaa, Ogeeyyiin Qonnaafi Dhaabbileen Gargaarsa Addunyaa ifa taasisaa jiru. Hongeen bara kana Xoophiyaa mudate kan bara 1977 ykn 1984’n ol ta’uu akka malu gabaasonni adda addaa mul’isaa jiru. Bara mootummoota laman darbanii, H/silaaseefi Dargii yeroo hongeen akka malee uummata miidhaa ture qaamni mootummaa dhimmicha dhoksaa akka ture ni beekama. Bara kanas mootummaan ji’oottan darban keessa haala hongee sanaa dhoksaa tureera. Bara mootummaa H/Silaasee yeroo uummanni biyyattii gara Kaabaa hongee hamaadhaan rukutamanii beela’aa jiranitti Tafarii Mokonnon waggaa 80ffaa isaanii kabajataa turan. Dargiinis 1984 tti yeroo uummanni waan afaanitti deefatu dhabetti ayyaanaa adda adda kabajachuutti ko’oomatanii turan jedhama. Bara kanas yerootti uummanni beelan waadamaa jirutti mootummaan ayyaana hundeeffamaa, ayyaana menxersoo jechuudhaan qarshii meeqa dhangalaasaa jiraachuunsaa uummata biyyattii biraa komii jabaa kaasaa jira. Oromiyaa naannoolee addaaddaattis hongeen kun uummataafi beeladarra haalan miidhaa geessisaa jira. Keessumattuu naannoolee tifkateen bulaafi bakkeewwan amala gammoojjummaa qaban keessatti rakkoon hongee sun miidhaa jabaa dhaqqabsiisee jira. Jijjirama qilleensaa mudateen Itiyoophiyaa keessatti uummanni Miliyoona 8 ta’u gargaarsi nyaataa kan isa barbaachisu ta’uu jaarmayoonni adda addaa beeksisaa jiru. Jiraattonni Godina Arsii Lixaa akka ibsantti caamni yeroo mudatu kun kan jalqabaa miti jedhu. Kan baranaa garuu daran hamaa ta’uu dubbatu. Midhaan facaafatan sababaa roobni dhabameef karaatti hafuu isaa fi erga roobni xiqqaan argame booda kan facaafatanis hagas mara oomisha argamsisee hin qabu jedhu. Ta’us garuu gargaarsa mootummaan barana raabse tokko iyyu hin jiru jedhan. Gama kaaniin bulchaan godina Arsii Lixaa Obbo Abaadir Abdaa gargaarsi raabsamaa jiraa caamni humnaan ol ta’e hin jiru jedhu. (Oromia Press): Gaaafa sadaasa 21, 2015 gazaxessoonii bayyeen dhaabbiilee sabqunnamtii itoophiyaa irra Godina Harargee Bahaa Aanaa Miidhagaa Tolaa (miidhagaa lolaa) dhaquun waa’ee hoongeefi abaar yeroo isan nama gafachuu barbadaan, Bulchaan Aanaa Midhaga namonni akkaa ittii dhihatanii hin dubanne dhorkaa turan. Boodarra garuu nama dhalaa takkaa kanuma warrii Aanaa qopheysee qabanii haseysaan. Isiiniis waan isaan dhooysuu barbadaan osoo hin dhooysiin ittii himtee. Waan dubartiin san gaazexeessitootattii himtee keysaa akkana jatteen “Nuti hoongeen nuttii hammattee jirtii. Namnii goodanaa jiraa. Anuu ammaa goodansafiin demaa. Edaa edaatuu hiraata osoon hin nyatiniin bulee. Gargaarsi yeroo dhufe mallaqaa kaffalleeti katabamnaa. Abbaan araddaa maallaqa nurraa guurrateeti nu galmeeysaa. Qarshii san kan beeyladaa qabu horii gargureetii ittii kannaa. Walumaagalatti kan qarshii dhibbaa 300 hin qabnee gargaarsa kana hin fudhatu. Gargarsii osoo ummata hoongeen miidhame biraa hin geenye namootuma muraasaaf hiramee dhuma. Gargarsi aanaa keenyaa kan caasaalee araddaatifi kanuma nama qabenyaa qabuu tahe.” jattee icitii silaa isaan dhoysuu barbadaan mara jalaa bafte. Galgaluma san TV Oromiyaa sagantaa kana dabarsee ture. Garuu kan nama aja’ibsisuu gazaxessooni kun waan intaltii dhala san ittii himtee hin dabarsine. Kan isaan dabarsan “rakkoo beelaa hin qabnuu tan nuti qabnu rakkoo bishaan dhugatiiti” tan jattu dabarsan. Kanaas kan ja’e nama bulchaan aanaa qopheesseen kan dubbatamee dha. Wanni nama gaddisiisu garuu bulchaan ummata bulchaa jiru kun ummata moo mootummaaf akka dhaabbateedha. Sagaleen ummataa ukkamamtee ummanni beelaan dhumaa jiraachuun kun akkamitti xiqqolee garaa isaan hin nyaanne jechuun ummanni bal’aan kaabinoota aanaa komachaa jiran. Akka odeeffannoon gara Miidhagaa Lolaatii arra nu gahe tokko ibsitutti, hoongeefi beelaan wal qabatee haalli amma naannoo sanitti argamuu akka malee yaaddeessaa tahuu irraa kan ka’e abaar akka baroota dheeraa dura naannoo sanii namoota kumaatamaan baqachiisee turee san daran tahuun shakkisiisaa jira ja’an. Gargaarsi waajibir naannoo san dhufaa jiruus kan kallattiin ummata bira gahaa jiru osoo hin taane kan aangawoota araddaafi nama qarshii qabuu qofa akka tahe ijaan agartoonni naannoo sanii himaa jiran. Haaluma wal fakkaatuun aanaalee walakkaan horsiifatee bultootaa tahan kan akka Qumbii, Mayyumuluqqee, Gola Odaa, Baabbile, Gursumiifi Cinaaksaniis beeyladaan isaani margaaf bishaan dhabaaf jalaa dhumaa kan jirtuufi ummanniis haala yaaddeessaa taheen beelaan xuruurfamaa jiraachuufi gargaarsi dhufu eessa akka gahu wanni beekan akka hin jirre odeeffannooleen garasii nu dhaqqabaa jiru ni hima. The EPRDF government officials are repeatedly denying the current famine that around fifteen million people are facing In Ethiopia. International media are busy reporting about the famine showing the pictures of emaciated children; the dead bodies of hundreds of animals and telling stories of mothers who lost their children due to starvation. It is funny to hear what the government officials say regarding the drought and famine that is causing the death of many people and animals. Some of the government officials are even accusing these media (BBC for example) that tried to showcase the extent of the problem to the world saying that they have sensationalized reports about the drought in Ethiopia. The EPRDF leaders say Ethiopia is food self sufficient; needs no aid from outside. They say there is no problem, no famine, no drought and no death. Other time they say, there is drought in some parts of the country and it is under control. Still, they say, only very insignificant number of people (15 million people out of 90 million people) are affected by the drought. Oh, my God, how on earth they say that 15million people are very insignificant? These people are gone out of their mind; the life of a single person matters let alone the life of 15 million people. Recently, we have learned that the government is building very modern houses with 154million birr for six retired EPRDF officials. What a paradox! People are dying because they have nothing to eat while the government is allocating all this money for building houses for its corrupt retired officials who have been amassing unimaginable wealth over the last two decades. Source: STOP DENIALS; SAVE THE LIVES OF MILLIONS! 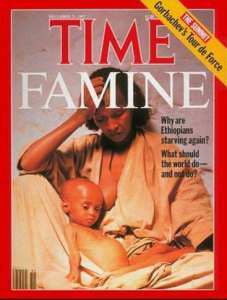 Tags: Africa, Famine, Famine Ethiopia, Land Grabs, Tyranny and Famine, Why Famine is a Permanent Phenomenon in Ethiopian? Ironically, while Ethiopia is facing a hunger crisis and making urgent appeals for aid, tonnes of food are actually leaving the country. 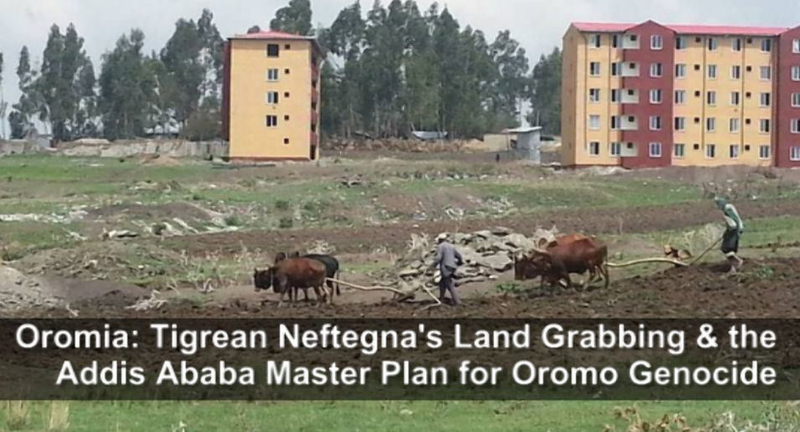 This illogical development is due to the fact that the regime in Addis has sold large tracts of arable land to a range of foreign investors and corporations in transactions described as “land grabs.” The process also involves “villagization,” a government-led program which entails the forcible relocation of indigenous communities from locations reserved for large, foreign-owned plantations. Reports by rights groups list a plethora of human rights violations, including murders, beatings, rapes, imprisonment, intimidation, and political coercion by the government and authorities. A report by the Oakland Institute (OI), a prominent international human rights organization, vividly describes how via “strongarm tactics reminiscent of apartheid South Africa, the Ethiopian regime has moved tens of thousands of people against their will to purpose-built communes that have inadequate food and lack health and education facilities to make way for large, foreign-owned commercial agricultural projects.” Notably, the program has also led to food insecurity, a destruction of livelihoods and the loss of cultural heritage of ethnic groups. Food insecurity is one of the most pressing humanitarian issues in the Horn of Africa, and the situation is expected to deteriorate further over the coming months. Ethiopia, in particular, is faced with a massive crisis. According to the European Commission, “the situation in Ethiopia is at present the most alarming, where the number of food insecure people has increased from 2.9 million at the beginning of the year to 8.2 million by early October. It is foreseen that these numbers will further rise up to 15 million by the end of 2015. Rates of acute under-nutrition are well above emergency thresholds in many parts of the country, while the response to this situation is hampered by an important shortage of nutrition supplies. In the worst affected areas in the Northern, Central and Eastern regions of the country hundreds of thousands of livestock deaths are reported.” Moreover, UNICEF warns that a large number of those facing hunger will be children; approximately 5 million children will “require relief food assistance during the last quarter of 2015,” with hundreds of thousands urgently requiring treatment for acute severe malnutrition. The crisis is largely being attributed to the El Niño weather phenomenon and the underperformance of two consecutive rainy seasons, which have combined to negatively affect the country’s agricultural harvest cycle. During the last two months, prolonged, erratic and insufficient rainfall has led to poor vegetation conditions in southern Ethiopia, and widespread drought, which has severely impacted ground conditions. However, although environmental factors have been significant, it is important to examine the crisis within a broader framework. The roots of hunger are multidimensional and complex; beyond immediate environmental causes, hunger involves a variety of factors including, amongst others, socio-political and governance dynamics. According to scholar Tim Hitchcock, “famines aren’t about the lack of food in the world. They aren’t about the lack of aid. We know that the harvest is going to fail in Eastern Africa once every 12 to 15 years. If you have a working state and your harvest fails, you raise the cash and you buy food and ship it in, and you make sure it is distributed. 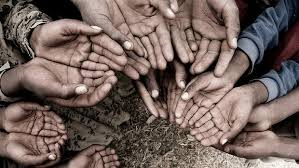 You don’t allow people to starve.” In Ethiopia, “[hunger and] food insecurity stems from government failures in addressing major structural problems” (Siyoum, Hilhorst, and Van Uffelen 2012). The European Union (EU) has provided over €1 billion in humanitarian aid to the Horn of Africa since 2011, much of which has gone to Ethiopia. Annually, Ethiopia receives hundreds of millions of dollars in aid from a variety of bilateral and multilateral sources; across the 2004-2013 period, the country was the world’s 4thlargest recipient of foreign assistance, receiving nearly US$6 billion, while in 2011 alone, its share of total global official development assistance – approximately 4 percent – placed it behind only Afghanistan. However, even while it has long-been one of the leading recipients of foreign, humanitarian, and food aid in the world, the country continues to face crises. Why? One influential factor is the debilitating mix of domestic corruption and poor governance. According to prominent development scholar and international economist Dambisa Moyo (2009), aid is often closely linked to corruption and poor governance, and “aid flows destined to help the average African…[get] used for anything, save the developmental purpose for which they were intended.” Moreover, “a constant stream of ‘free’ money is a perfect way to keep an inefficient or simply bad government in power.” In the 1980s, during widespread famine and drought, Ethiopia’s brutal Dergue regime, led by Colonel Mengistu Hailemariam, diverted millions in humanitarian aid to the military, while under the despotic rule of Meles Zenawi, aid was frequently utilized as a political tool of manipulation and repression. Several months ago, leaked emails revealed that the Ethiopian regime, which is now making appeals for aid and external support, was paying the Italian surveillance firm, Hacking Team, to illegally monitor journalists critical of the government. 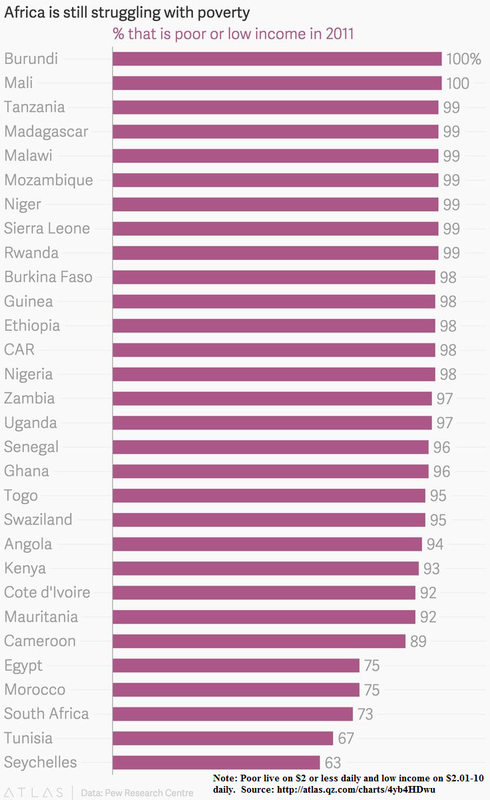 Corruption and poor governance remain deeply embedded within Ethiopia’s socio-political structure, and the country consistently scores extremely poorly on the World Bank’s Worldwide Governance Indicators, especially within the areas of corruption, rule of law, and governance (Kaufmann, Kraay, and Mastruzzi 2010; World Bank 2014). The indicators, based upon a variety of perceptions-based data sources, provide measures for various states, with scores ranging from around –2.5 (low) to around 2.5 (high). 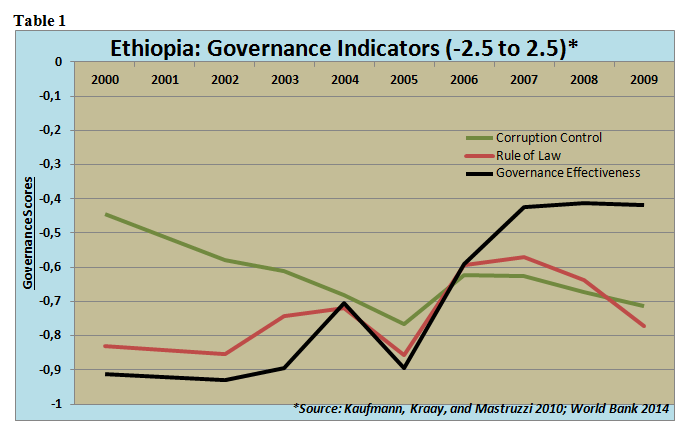 Table 1 illustrates that corruption, rule of law, and governance are significant problems within Ethiopia. Another area of considerable concern is democracy and civil liberties. Ethiopia has been consistently criticized by an array of international rights groups for its broad range of human rights abuses including its harsh repression of minorities and journalists, press censorship, draconian anti-terror laws that are utilized to silence all forms of dissent, and brutal crackdowns upon opposition groups and protestors. According to the Polity IV Project (Marshall and Gurr 2013), which is widely used in international comparative analyses of democracy, governance, and human rights practices, Ethiopia is one of the most authoritarian, autocratic states in the world. The Polity IV Project codes the political characteristics of states, using an array of data sources, to rank states from –10, representing least democratic and most autocratic states, to 10, representing most democratic states. 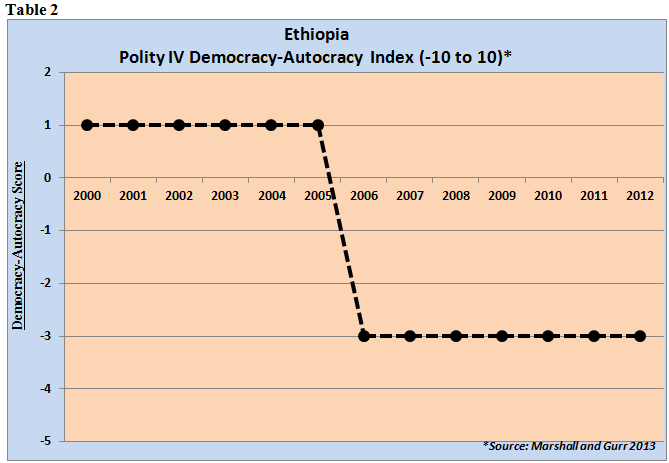 Table 2 displays that Ethiopia’s scores place it within the autocratic, authoritarian category. The applicability of this categorization is underscored by the fact that, mere months ago, the government in Addis Ababa won 100 percent of parliamentary seats in a widely discredited national election that involved massive irregularities and intimidation, crackdowns, and arrests of the opposition. Importantly, scholars and analysts have pointed to the existence of an intricate relationship between democracy, civil liberty, and hunger or famine. According to internationally renowned development and human rights scholar Amartya Sen, “no democracy has ever suffered a great famine” (1999: 180-181). Specifically, Sen notes that throughout history famines have been avoided in democratic states because these states’ promotion of political and civil rights afford people the opportunity to draw forceful attention to their general needs and to demand appropriate public action through voting, criticizing, protesting, and the like. Authoritarian states, which curtail democracy and free press, sustain much less pressure to respond to the acute suffering of their people and can therefore continue with faulty policies. Sen’s discussion of many of the great famines within recent history – including those in Ethiopia, Somalia, Sudan, China, the former USSR, and North Korea – helps emphasize the fundamental relationship between democracy, civil liberties, and widespread famine and hunger (Sen 1999). Notably, the program has also led to food insecurity, a destruction of livelihoods and the loss of cultural heritage of ethnic groups. Essentially, the Ethiopian regime’s participation in “land grabs” represents a dire lack of leadership, prioritization, and proper governance. It has caused terrible disruption to local communities and greatly harmed food security in the name of economic development. Such failure is reminiscent of previous humanitarian crises in the country. 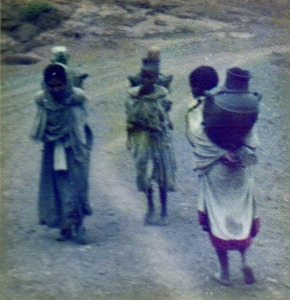 As described by Mosse (1993), during the 1960s and 1970s, the nomadic Afars of Ethiopia were displaced from their pasturelands in the Awash valley. The Awash River was controlled in the 1960s to provide irrigation for Dutch, Israeli, Italian, and British firms to grow sugar and cotton. Consequently, the annual flooding of the river, which covered the valley with rich soil and provided grazing lands for the Afars, was disrupted. The Afars went in search of new pastures and attempted to make a living on the ecologically fragile uplands, which were poorly suited to their nomadic lifestyle. Cattle found less to eat and the Afars began to starve. 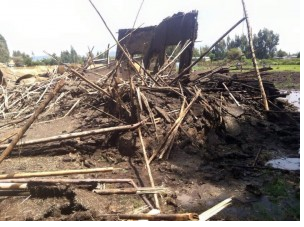 Subsequently, when drought struck Ethiopia’s Wollo region in 1972, between 25 and 30 percent of the Afars perished. The problem was not due to particular inadequacies of the Afars – who had flourished for centuries; rather, the problem was with the attempt to develop the Afar lands and bring them into the mainstream economy, without any regard for their actual needs. Ultimately, the pursuit of economic growth or development, if not sensitive or responsive to local needs, can so damage existing local populations and communities that substantial harm, poverty, deprivation, and hunger are created as a result (Mosse 1993). ‘The index has been developed by the risk analysis company Maplecroft for governments, NGOs and business to use as a barometer to identify those countries which may be susceptible to famine and societal unrest stemming from food shortages and price fluctuations. This map shows the results of evaluating the availability, access and stability of food supplies in 197 countries, as well as the nutritional and health status of populations,’ The guardian. As Africa is clearly the most afflicted, with six (Ethiopia, Somalia, S.Sudan, Congo, Chad and Eritrea) of the seven states at “extreme risk.” Afghanistan was the only country outside of Africa at extreme risk , Maplecroft inside report. According to FAO’s study, out of Ethiopia’s total Population of 84.7 million the number of undernourished persons are 34.0 million, and prevalence of undernourishment is 40 %.